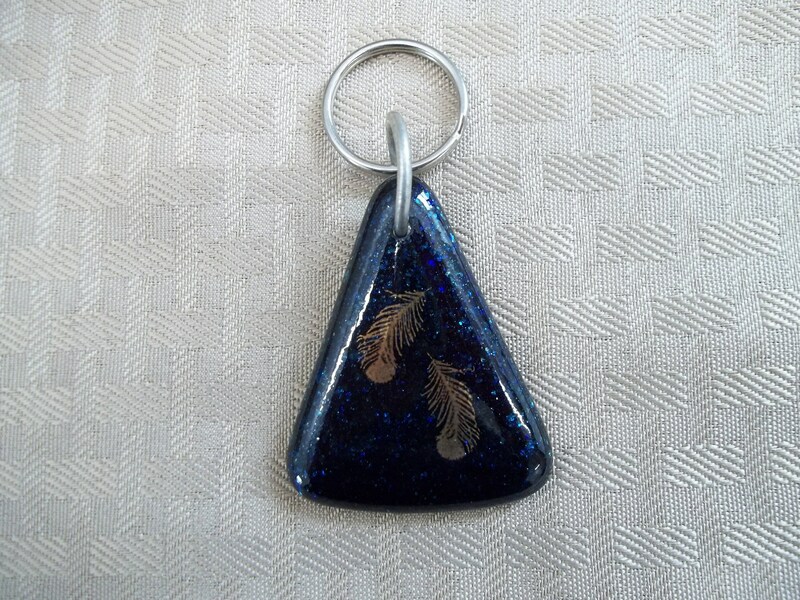 Handcrafted out of beautiful blue Aventurine glass, this key chain has plenty of sparkle. 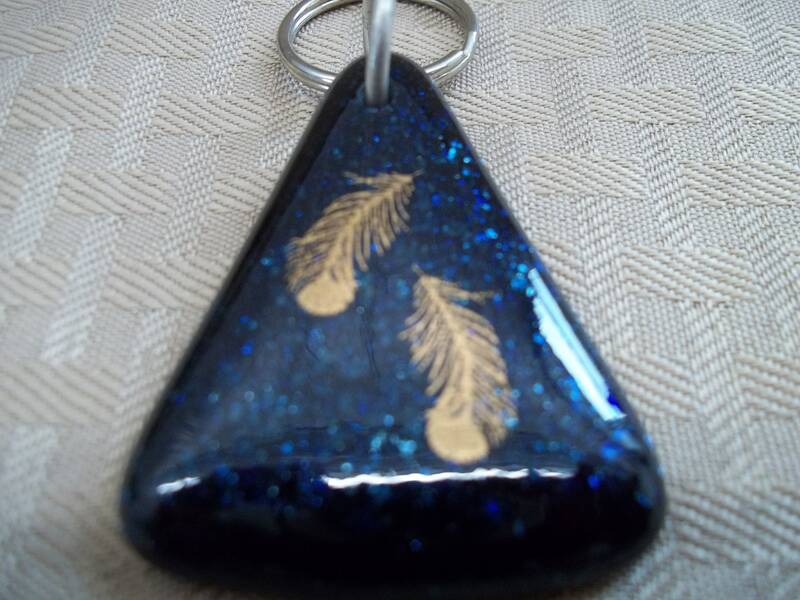 Two gold feathers were applied and then fired in a kiln. 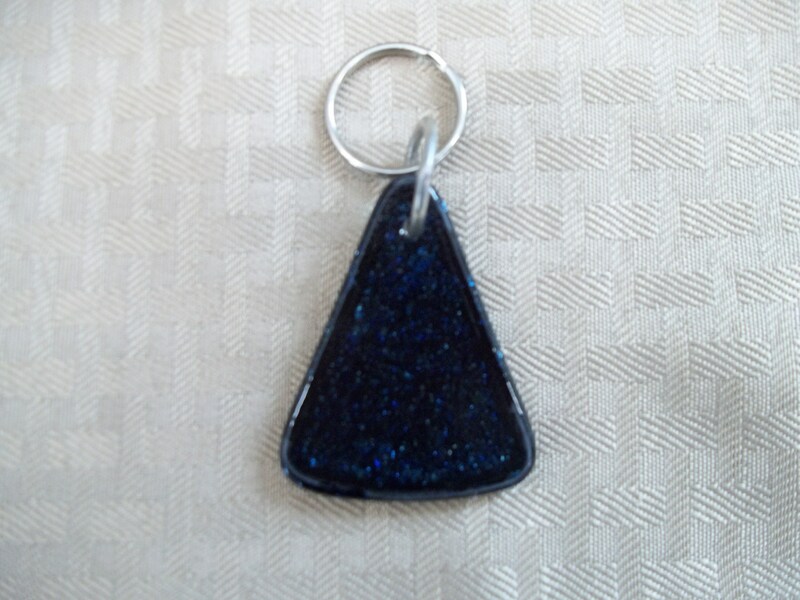 The glass measures 2" long and is 1 5/8" at the widest point. Unique and one of a kind.